Scotland is a massively underestimated breeding ground for incredibly talented musicians. The likes of Biffy Clyro, The Proclaimers and Annie Lennox - to name but a few - have all grown up in the freezing cold, tartan-wearing country, before making a considerable mark on the British music scene. Most recently, however, Scotland has produced arguably one of their best artists yet: Emeli Sandé. 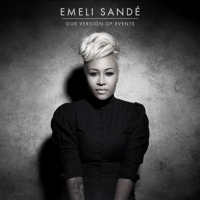 Sandé has blown people’s minds up and down the country with her debut album ‘Our Version of Events’, which topped the UK album chart for 5 weeks and went Platinum twice. The multi-talented Ben Drew steps up his game and takes it back to the old school sound of the streets for this year’s album release from Plan B. 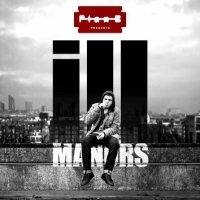 ‘Ill Manors’ is a dynamic musical story of tragedy, haunted pasts and abuse sparked by last summer’s London Riots. In contrast to its predecessor, ‘The Defamation of Strickland Banks,’ this is not an easy-listening album of love songs that you might buy your mum for Christmas. 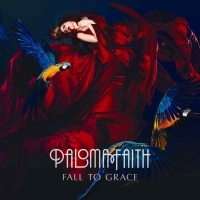 She’s been compared to six-time Grammy award-winner Adele, and was once asked to join soul heroine Amy Winehouse’s band, but her latest album ‘Fall to Grace’, released in May 2012, without a doubt distinguishes her musical talent from that of other artists. From heartbreak ballads to feisty uplifting choruses, Paloma defines the pains of young love in her own unique set of relationship-blasting tracks. Nowadays, it would be shocking to find someone who hasn’t heard of this feel-good Indie rock band. 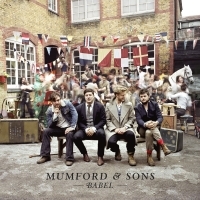 Since receiving two Grammy award nominations in 2010, one for Best New Artist and the other for Best Rock Song (‘Little Lion Man’, of course), this talented bunch have gone from strength to strength; and now their second album, ‘Babel’, released in September 2012, is undoubtedly a force to be reckoned with at this year’s Brit awards. 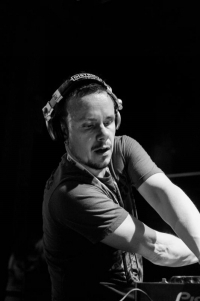 So it’s not often we get a DJ such as Elite Force gracing our decks in Leeds. For a city that has become saturated with house music recently, it’s refreshing to have some real grimy breaks in our ear holes. The full-on, bassy sound, coupled with the wicked venue that Mint provides seared this particular performance permanently into this writer’s mind. For a band to play on the NME tour, you would expect it to take several years on the gigging circuit and countless failed mistakes. Although this is true for the members of Peace whilst in several different bands, astonishingly the band itself has taken only two years, which demonstrates the grafting and hard work they have put in in order to make a career out of something they love. Hospitality Leeds Returns, and It’s Bigger and Better Than Ever!